The parole hearing for convicted murderer Jason Pilcher Aug. 10 was continued to Oct. 31 according to District Attorney Billy Joe Harrington. District Judge Desiree Dyess continued the hearing so she can receive Pilcher’s medical and psychological reports. Pilcher is seeking to have his life sentences reduced to 35 years under a package of bills, the Justice Reinvestment Act, passed by the Louisiana Legislature. Part of that act addresses teen offenders who were tried as adults. Harrington filed to have the life sentence maintained in 2017. Pilcher is one of about 300 people in Louisiana prisons who were sentenced to life without parole as juveniles. Even though they were convicted of capital crimes, under the legislation, they could seek a parole hearing. 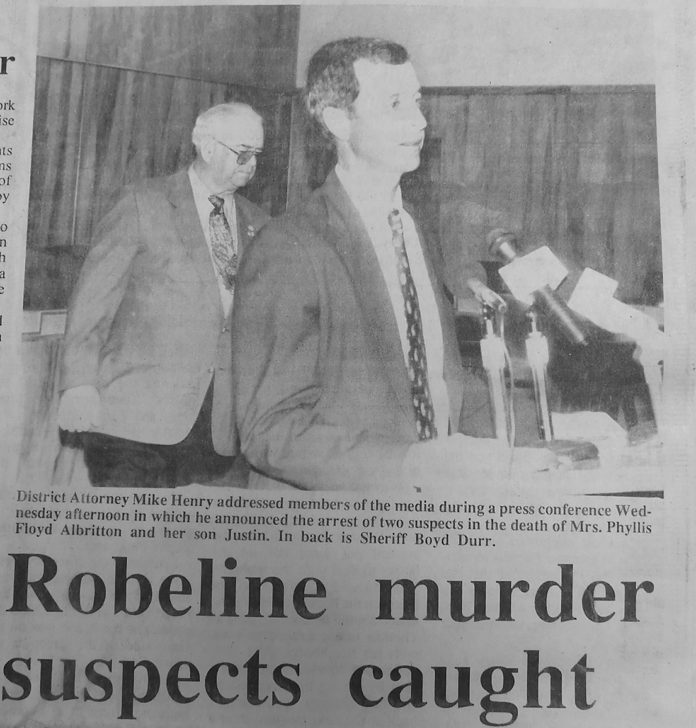 Pilcher was 15 in 1993 when he murdered Phyllis Albritton and her son, Justin, 11, at their home in Robeline. He received two mandatory life sentences, without benefit of parole that were imposed consecutively. He has been in the La. Department of Corrections system since that time.